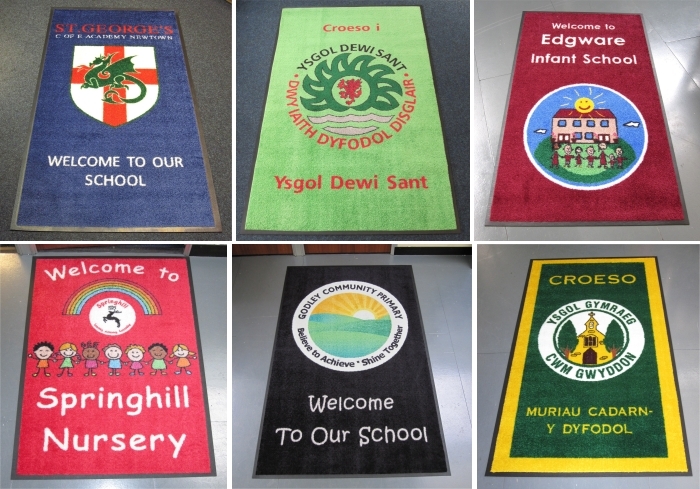 Create the right impression with your parents, visitors and pupils by putting your School logo, crest or any other message on a printed School entrance mat. 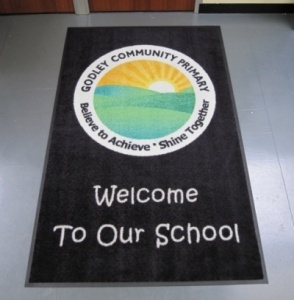 Our nylon printed logo entrance mats are ideal to combine your organizations logo or personal message with the functional dust control benefits of a durable entrance mat. 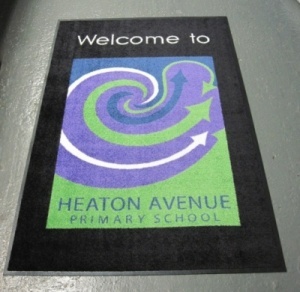 Let your entrance matting convey your identity, a specific message or simply say 'Welcome'. 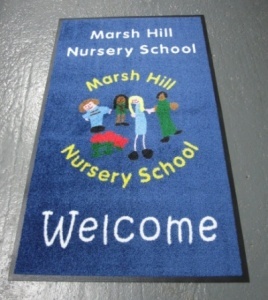 Personalized doormats create a visually attractive and unique entrance whilst protecting against the damaging effects or dirt, grit and dust. Manufactured using a durable rubber backed mat with a high quality type 6,6 nylon pile our custom printed logo entrance mats come in a choice of a gripper backing for use on carpets or a flat rubber backing for use on hard floors. 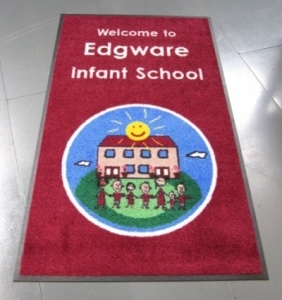 We offer a FREE no obligation design service so that you can see exactly what your custom printed school entrance mat looks like before placing your order. 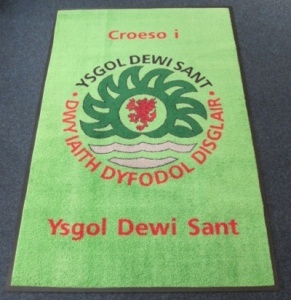 * Please Note: When you place your order send us details of the information that you would like displayed on your Custom Printed Logo Mat. 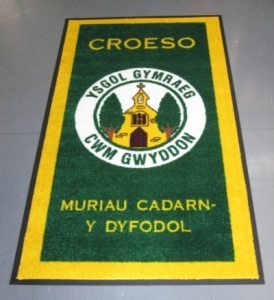 ie Text, Logo's, School Crests etc. Our designers will then work with you to create a design and colour proof which will be sent to you for your consideration and approval. Your job will only be sent to our production department once we are in receipt of your signed proof approval. 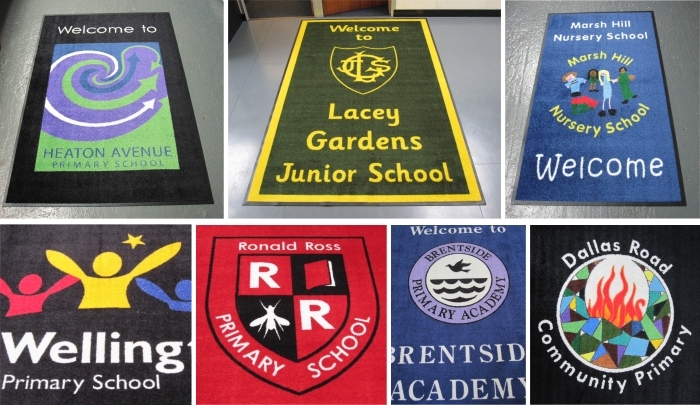 Please be aware that if you wish to place your mat in a specific space / area there is a + / - 2% manufacturing tolerance for the finished mat size.